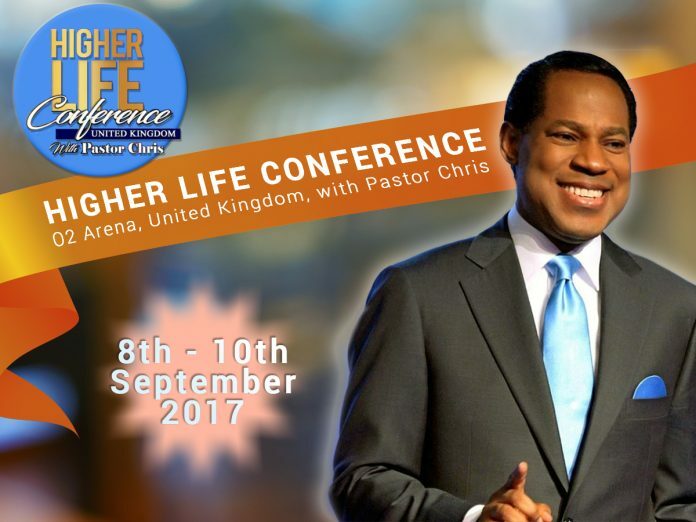 From September 8th to 10th, Pastor Chris Oyakhilome will hold HLCUK at the 02 Arena in London, to spread the Word of God and minister about the higher life. The event costs a mere £4.50 for the entire 3 –day period (£1.50 per day) at the world famous 02 Arena. The stadium holds up to 20,000 worshippers, with the second-highest seating capacity of any indoor venue in the United Kingdom. 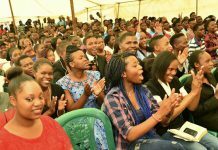 Pastor Chris – as he is more popularly known as – is a best-selling author and creator of Rhapsody of Realities, a daily devotional translated in over 900 languages with a global reach. He is also a renowned faith healer, whose ministry has helped millions worldwide, and active philanthropist. Founder of the InnerCity Mission, Pastor Chris provides food, housing, clothing, medicine and free education to impoverished children in inner cities internationally, most specifically in Africa. Global reach is a key element for the Ministry, which has millions of international members, and a global prayer network to reach Christians all over the world. 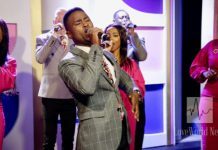 fferent performances every day from internationally acclaimed gospel artists, interactive videos and the impartation of the Holy Spirit upon all. The conference sessions will also include miracles, healing wonders, anointing, preaching, worship, lessons on speaking in tongues and meditation, how to walk in love, lessons on Jesus and what He means to us, as well as anointed interpretations of Biblical text. Each session finishes with hallelujahs filled with power and revelation, inviting the Holy Spirit into the awesome atmosphere. The healing powers of Pastor Chris precede him, as millions have been uplifted, healed, and inspired through his words, humility, and the power of Christ. 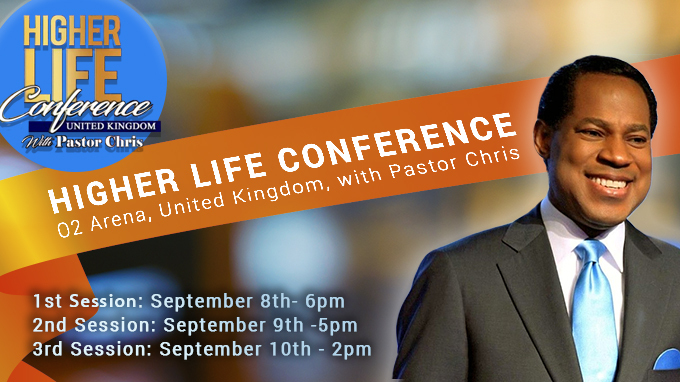 The Higher Life Conference UK is a once in a lifetime opportunity to experience being transformed by God’s word in an atmosphere of miracles. Click for more information! Register to attend & begin your Higher Life as a child of God! Next articleHigher Life Conference – 1 day to go!